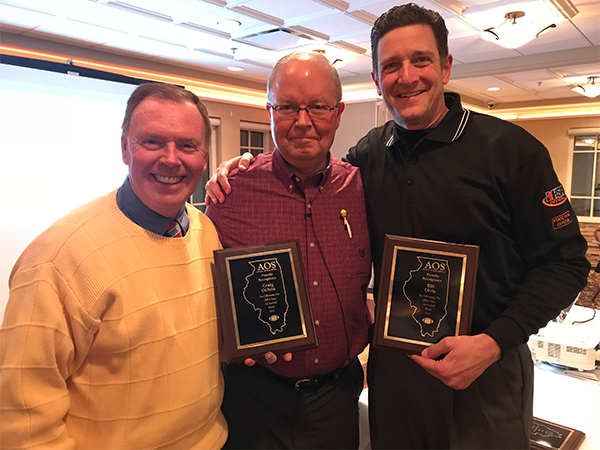 The Illinois High School Association (IHSA) has named AOS Board Member Jim Glueckert as the 2015-16 Football Official of the Year. To be considered for this honor, an official must first be nominated by an Officials Association recognized by the IHSA. 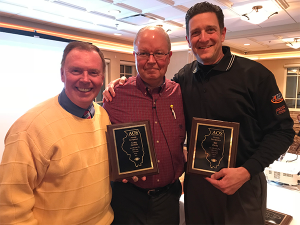 IHSA staff members then vote on the winners based on factors such as character, skill as an official, and levels worked in the IHSA State Series. The AOS Board nominated Glueckert for all of those reasons and many more. 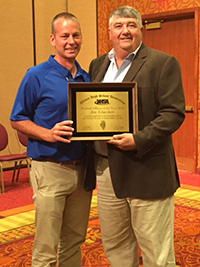 Glueckert received the award during the IHSA Officials Conference in Peoria last July. Glueckert is currently a Registered IHSA Football Clinician. He has officiated State Championship games in 2000 Class 2A, 2004 Class 7A and 2011 8A. He has served as the Football State Series Coordinator of Officials since 2012. He serves on the AOS Board as the Football Assignment Chairman. The primary purpose of the Athletic Officials Service (AOS) is to assist all members to become better officials. 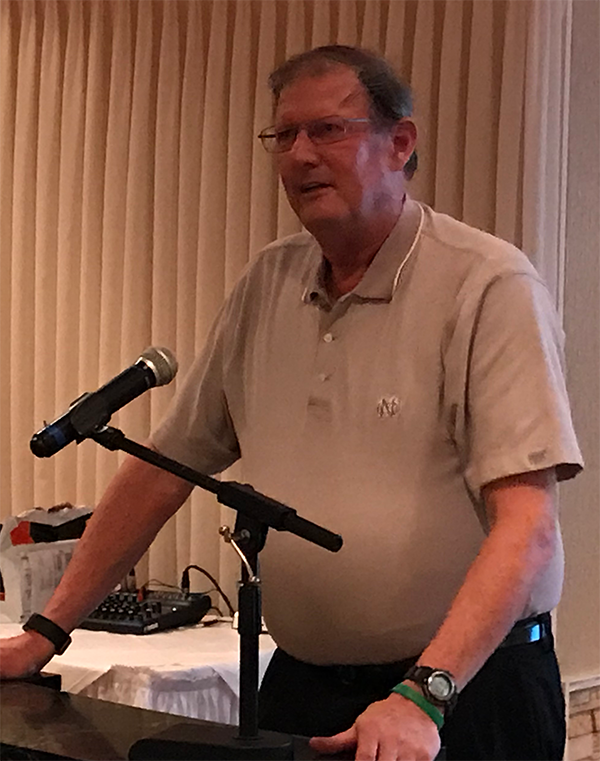 Jim Glueckert is another reason AOS is successful in that purpose! AOS Member Raul Zaldivar has a long and distinguished officiating career. 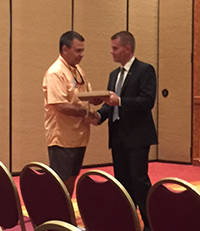 During the IHSA Officials Conference in Peoria last July, Zaldivar was honored by the IHSA for 30 Years of Officiating Service. Zaldivar adds yet another honor to his many accomplishments. He has been down state in Girl’s Basketball with State Tournament appearances in 2010, 2012 and 2013. In 2012, he officiated the 3A State Championship Game and in 2013, he called the 4A State Championship Game. In 2014, Zaldivar was honored with the AOS Ed Curtin Award in recognition for his work in mentoring and developing fellow AOS members. 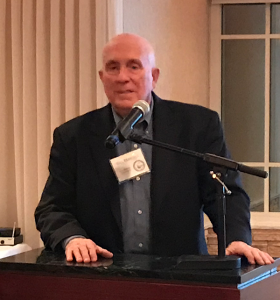 He was also inducted into the Illinois Basketball Coaches Association Hall of Fame in 2015. We are honored to have such a distinguished and veteran official in our membership. 30-Years and still counting! 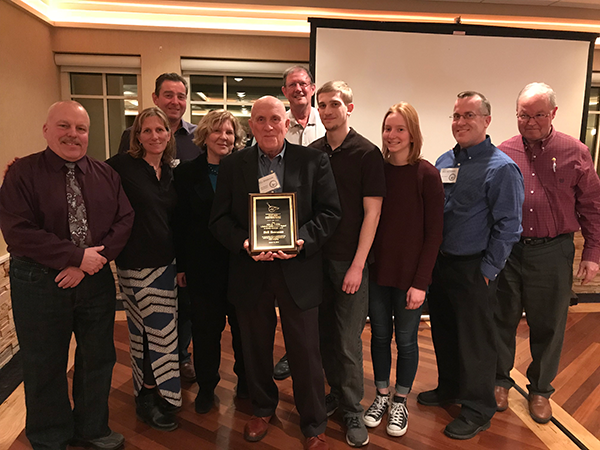 Established 2010 in memory of John E. Katzler and his passion for IHSA Basketball, IHSA Football and Athletic Officials Services. These individuals have been an active and /or honorary member of AOS for at least 20 consecutive years. The individual is also widely recognized by his peers as someone with excellent grasp of the rules governing his or her sport as demonstrated by his or her achievement of working a minimum of 5 state series assignments. 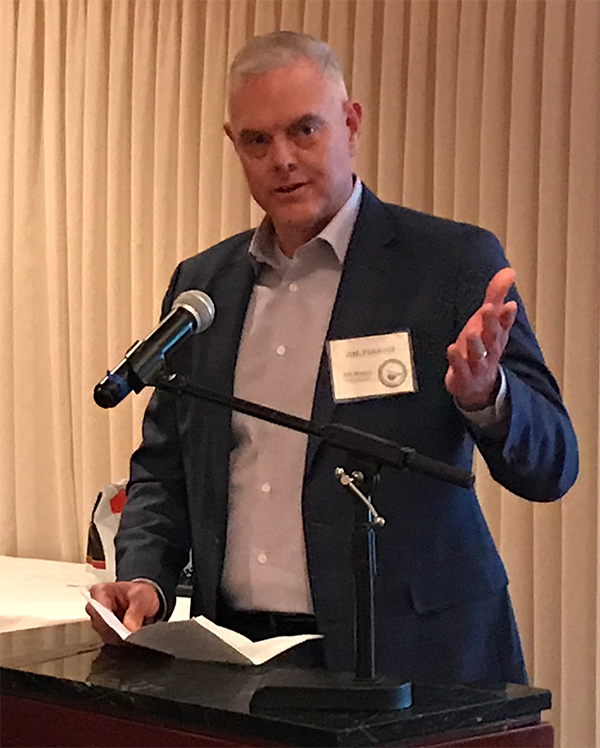 They also have demonstrated a high level of service and commitment to the AOS as evidenced by numerous documented contributions. Established 2010 in memory of Ed Curtin and his passion for helping fellow officials realize and achieve their full potential. 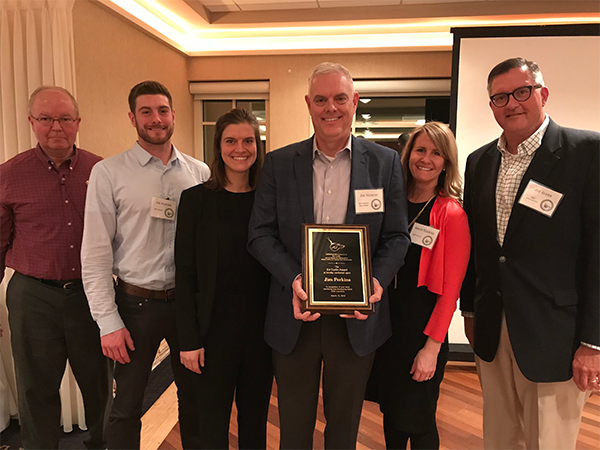 In recognition of their great enthusiasm for high school officiating and the camaraderie shared between fellow officials, and whose contributions in the prior years sports season have had the most significant impact on their peers. 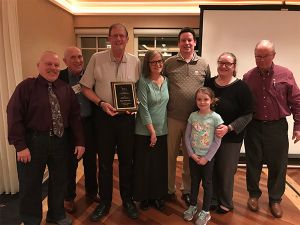 Provide recognition to AOS Member who in the current year has been awarded an IHSA service award for 25 or more years of service as a Basketball or Football official.